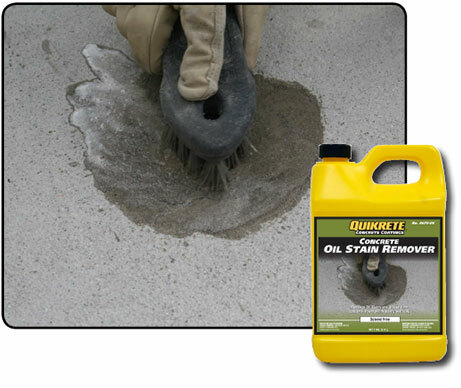 QUIKRETE® Oil Stain Remover (No. 8670-06) removes oil stains and grease from concrete, paver and masonry surfaces. Apply at 100-200 sq ft. per gallon (9.3-18.6 m2) coverage will depend on porosity of the surface.